Big Brother is a reality TV game show based on George Orwell’s 1944 book, Nineteen Eighty-Four. Now in its 20th year, the show takes a cast of 16 strangers and places them inside what they call the “Big Brother House”. Like its namesake, Big Brother 20 watches every move, conversation, and actions of these 16 people as it unfolds live. To mix up the show, they provide them with new challenges every week and most are different every year. There are different versions all over the world, but the most popular one is the US version. The catch is, you have to be in the US to watch it. If you want to watch the show online, you will need to have a CBS All access account and be in the US or territories. If you want to watch it outside of the US, the service will block you unless you use a VPN. There are a few things about this great streaming service that you need to know. First off, this service is a premium offering. You can get access to Big Brother 20 and the other shows for $5.99 a month. You also need to be in the US or connect to a US VPN server. That is because of the geo-restrictions enforced by CBS. By using a VPN, you can catch up on the entire show when you are traveling outside of the US. For the quickest and easiest way to watch BB, follow these steps. 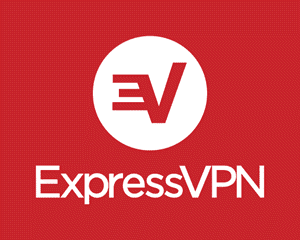 Sign up for ExpressVPN (includes a 30-day money back guarantee). Open a browser, go to CBS All Access, and sign up for service. If you do not already have an account, you will want to connect to a US VPN server to register as well. After your purchase, you can watch and enjoy Big Brother online. Just make sure you are connected to a VPN first. Here are the best VPNs to help you get around geo-blocks to watch BB20. ExpressVPN is the best choice for unblocking popular Big Brother and live sporting events. The ExpressVPN team has combined their VPN service with a Smart DNS feature called MediaStreamer. The combination will protect your privacy and unblock access to a wide range of content all over the world. You can run the ExpressVPN app on Windows, Mac, Linux, iOS, Android, Amazon Fire TV, and router. The MediaStreamer service extends support to streaming media devices (Roku, Apple TV, Chromecast, Kodi boxes, etc. ), Smart TVs, gaming consoles (PS4, Xbox One, Switch), and more. The team at ExpressVPN is currently offering our visitors a discount on their all-inclusive VPN service. You can enjoy unlimited access to both their VPN network and MediaStreamer service for 49% off with 3 months free. In addition, they are offering a 30-day money back guarantee to all new members so you won’t feel rushed while testing the service. You’ll have a month to watch live events, unblock streaming services, and fully experience the advantages of ExpressVPN. You can expect to be quite impressed with the service. NordVPN is a good choice for unblocking live sporting events and streaming services. The VPN will help you unblock Big Brother, Amazon Prime, and many more channels. You still need a subscription for paid services like CBS All Access but NordVPN will help you unblock the geo-restrictions. They are one of the few VPNs that can still access Big Brother US from outside the United States. This makes NordVPN a great choice for those who want to stream content from other regions of the world. As you can see, the NordVPN app is easy to use. You can select a server location from the map or from a list of countries. Unfortunately, NordVPN doesn’t let you choose a specific city in locations like the United States. However, it will pick a server based on your current location. We found this to result in slower speeds than ExpressVPN. At times we had to try a few different servers to find one that offered the performance we desired. Otherwise, NordVPN offers everything you need to unblock your favorite websites. CyberGhost is the latest addition to our list of the best VPNs to unblock live events and streaming services. The CyberGhost team has placed an emphasis on unblocking media and it shows in their VPN software. The CyberGhost app has an “Unblock Streaming” section that lists a number of popular Big Brother and channels that you can unblock with their VPN. The list is constantly being updated with new channels to view popular sporting events. CyberGhost will do a great job of protecting your privacy and unblocking geo-restrictions. In 2017 the company joined the Crossrider Group. That brought an influx of resources that have helped expand their network and aide in developing new features. CyberGhost is definitely a good VPN to keep an eye on as they continue to grow and offer a lot of value with the service. Speed can be hit and miss at times, but you can always switch to another server for better performance. You can connect on up to 6 devices with a single account. Above, we have provided you with the best options to stream the show live, catch up on what you missed, and watch the live feeds. Now, we’ll take a look at the names of this year’s house guests. You can watch the whole cast and their antics this season. For specific schedules of Big Brother 20, be sure to check the website and use a VPN when watching. Otherwise, you will be geo-blocked if you are traveling. Geo-blocks can be annoying. Because of world licensing and broadcasting rights, the media companies block anyone outside of their targeted area. In other words, if you are traveling or want to watch region specific coverage, the blocking software will stop you. Since it can detect IP addresses, it can tell if you are outside of the area it wants you to be in. By connecting to a VPN, you can make the blocking software think you are located someplace else. Of course, you can watch more than just Big Brother 20 when you use one. The truth of the matter is, the community is littered with ineffective VPN products. Though they may help you in other ways, you are removing one of the biggest benefits of a VPN if it does not unblock geo-restrictions. Even some of the more well-known providers do not work well to get you past those blocks. There is no point in trying to access the app if you are having problems with the VPN. That is why we suggest using one of the options we mentioned above. We have just shown you some ways to unblock Big Brother 20 on CBS All Access. Though there are other providers available, we think you’ll be happy with our choices. If you are a fan of the show, you should not have to miss out on great feeds because of where you are located. As long as your goal is to unblock the show, you have come to the right place.